Our probate attorney can help you navigate the legalities of estate and trust administration. We can help you properly administer the trust or estate, or help you supervise the conduct of a Trustee, executor or Personal Representative who is administering an estate or trust. Administering a trust or Will can be daunting. This is particularly trust when you are also dealing with a death in your family. Dealing with both is often overwhelming for a trustee or executor. In addition, we recognize that the death of a family member often causes some very difficult family relationships. 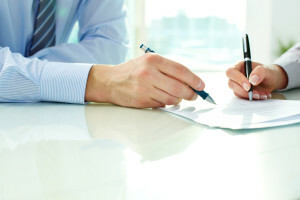 Our probate lawyer understands these dynamics, and can counsel you with regard to administering an estate or trust with skill and sensitivity. You must also assess your possible estate tax or inheritance tax, and, if available, analyze the opportunity to minimize such taxes. Trust administration is different from probate in that a trust is usually set up to avoid some of the requirements and expense of probate court administration. A trust is administered by a trustee or successor trustee. While probate court may be avoided by the use of a trust, there are still certain things that must be done in order to properly administer a trust following the death or incapacity of one who set up such trust. In addition to those requirements, trust administration can involve many legal challenges to the trust or administration of the trust. Our probate lawyer serves all of Metro Detroit, Ann Arbor and Southeastern Michigan. He can advise you on probating a Will or administering a trust.